The Plaza Santa Ana (Madrid) will become the centre stage of the Copa del Rey 2019 on Saturday 16 February at 1pm. Supporters of the eight teams taking part in the tournament will come together to experience a true and unprecedented basketball celebration sponsored by Endesa. The Copa del Rey 2019 will experience one of its crowning moments on Saturday 16 February at Plaza Santa Ana (Madrid) with the supporters’ meeting, sponsored by Endesa. The event will bring together fans of the eight participating teams to feel the excitement and share a true basketball celebration in the streets, while taking part in an event offering many new features. 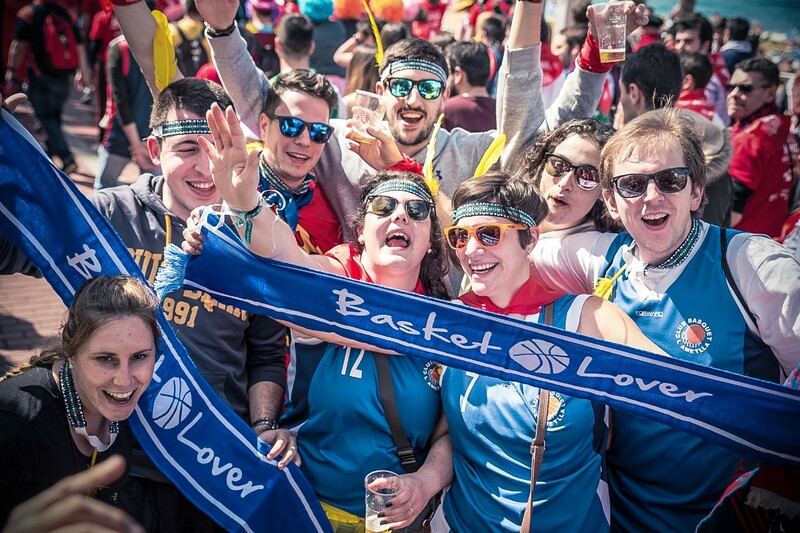 A unique event for fans that will fill with colour the streets of the Barrio de las Letras, to become the second stage of the Copa del Rey 2019 after the Wizink Center, providing a unique image in the world of sports: the supporters of eight different teams brought together by their passion for basketball. The supporters’ parade will start at 12.15 at Plaza Jacinto Benavente and will go through the streets of the popular Madrid quarter to Plaza Santa Ana, rechristened during the Copa del Rey 2019 as Plaza Basket Lover. Hundreds of supporters of all teams will come together to the sound of basketball chants and the unmistakable music of the Baskonia supporters, to experience an unprecedented celebration that will reach its height at the Plaza Santa Ana, where numerous surprises await participants. An event for all Basket Lovers to take part in and capture one of the memorable moments of the Copa del Rey 2019. The final event, led by basketball influencer Jordi De Mas (@demas6basket), will fill one of Madrid’s most popular quarters with the colours of fans’ jerseys, an unforgettable image of brotherhood and union between fans, unique in Spanish sport.